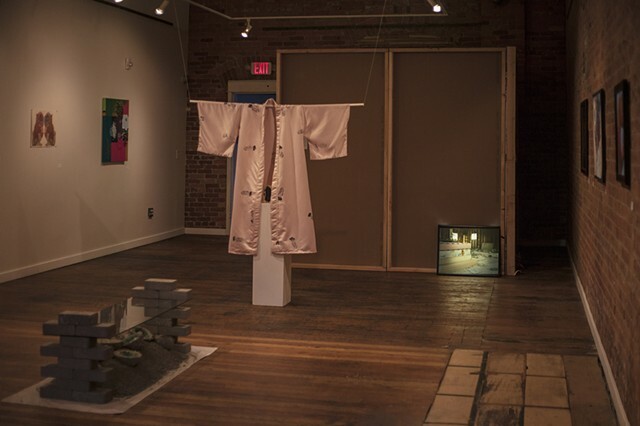 In Echoes of Home, I created a domestic interior that allows viewers to engage with memories of homes that were once were inhabited, spaces that I have explored. 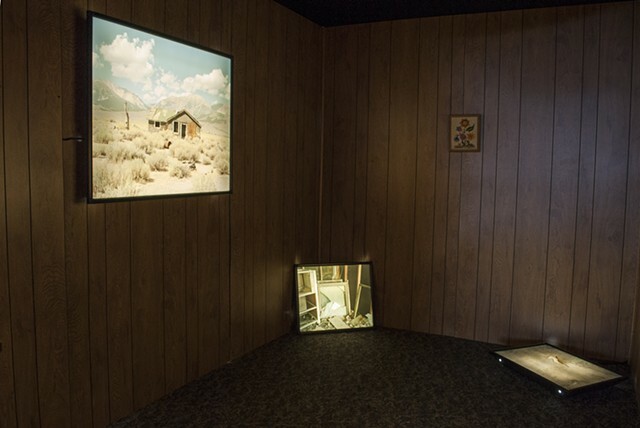 I used light boxes as windows, portals that linked the viewer to distant landscape. Each light box held a moment, immortalized by the camera. On the shelf, I laid out objects that I found in abandoned homes. 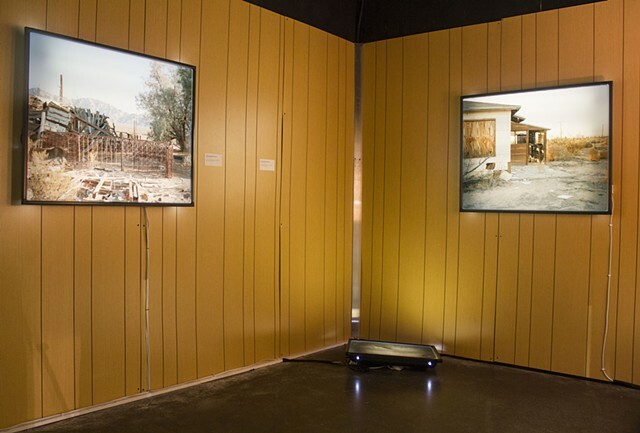 Pairing photographs of these deserted and abandoned environments with found personal items provided a physical connection to the spaces in the glowing images. The items collected are objects one might find in a child’s bedroom, such as a worn, dust caked teddy bear and a partially melted action figure. These objects were well used, but have been forgotten.